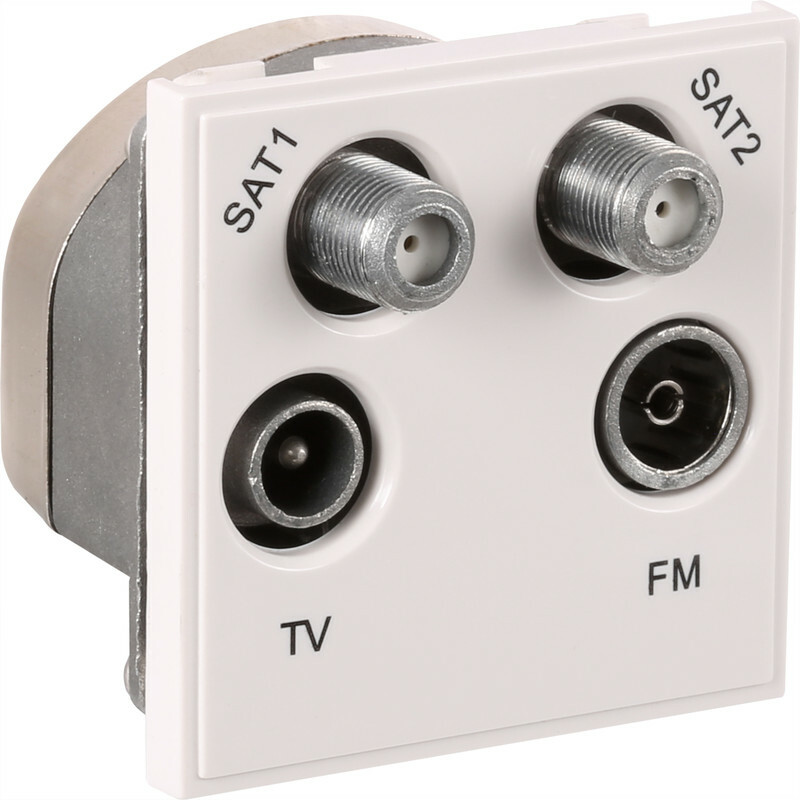 Euro Module TV/SAT Outlet Dual SAT/TV/FM White is rated 5.0 out of 5 by 1. Rated 5 out of 5 by Bruce 1108 from Just what I needed Neat and tidy product. Works perfectly.